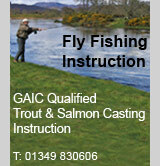 We are pleased to make freely available our new Visitor's Guide to Salmon Fishing on the North Coast 500. 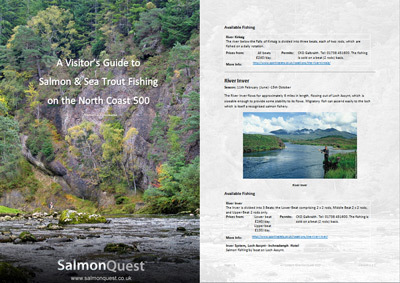 This guide is an introduction to salmon fishing available to visitors to the Northern Highlands, and those touring the NC500 route. It provides contact information for obtaining salmon fishing (day permits in particular), as well as general information relating to salmon fishing in the Highlands. It is available as a download in PDF format from our NC500 Salmon Fishing page. For your convenience there are clockwise and anti-clockwise versions to suit your direction of travel. Proposals to introduce rod licences and a new wild fisheries levy in Scotland will no longer be taken forward. In addition proposals to overhaul the restructure and remit of District Salmon Fishery Boards will not go-ahead, instead Scottish Government will encourage the piloting of voluntary board mergers.